Since 1973, Toolmex has served the industrial marketplace, engaging customers with a better level of service and support using the tools of today—research, expertise and ingenuity. We have a proven track record as a trusted partner, delivering volumes of product solutions to our customers’ doorsteps throughout the United States, Canada and Latin America. Our goal is to create customers for life by providing consistent superior quality products perfectly engineered for the job. It is our reputation for product and service excellence that continues to distinguish Toolmex, making us a sought after supplier to develop, introduce and establish new products on the marketplace for manufacturers worldwide. From products engineered and manufactured for excellence such as our productivity performing TMX® Cutting Tools, Workholding, European engineered Elektrim® Motors, BISON-BIAL Workholding and Toolmex Machinery, we are a support organization that reaches beyond the norm. Our goal is to provide each customer with a product and an experience that exceeds their best expectations. The way we see it, we are not just another supplier — we are a partner, working toward our mutual success. We Provide the Knowledge & Expertise to Implement the Tools! TMX® Cutting Tools – We have a whole line of cutting tools including; indexable tooling, round tooling & inserts. Download our Catalog here. Work-Holding – We carry high-quality chucks, vises, toolholders that are made from high quality forged alloy steel. All of our equipment is tested to meet the following requirements: high load carrying capacity, durability, high gripping accuracy, and repeatability. Download our Catalog here. BISON-BIAL Workholding -BISON-BIAL is renowned for manufacturing high quality lathe chucks to meet the highest requirements of the customer. Their chucks are made from high quality forged steel or cast iron. Hardened and ground work surfaces of the interacting parts provide the chucks with superior strength and extended lifetime. Download our Catalog here. 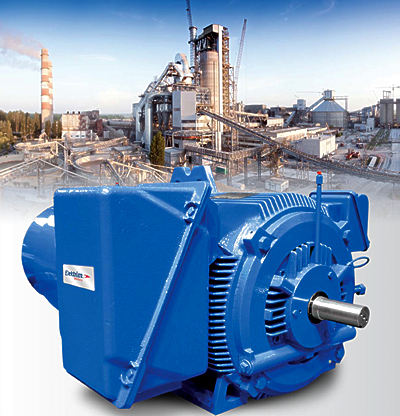 Electric Motors – We offer Elektrim® Motors which are European engineered and designed for exceptional quality and outstanding performance, and are manufactured in state-of-the-art ISO 9001 quality system facilities around the world. Elektrim’s enthusiasm for motors and commitment to exacting standards mean that Download our Catalog here. Machinery – Toolmex Industrial Solutions continues to be a leader in long bed lathe technology from Manual Plus CNC lathes, to big bore Oil Country lathes, conventional engine lathes and now multitasking slant bed lathes and 4-way CNC lathes. Download our Catalog here.